Expand your home’s wall decor with the Matchbox Blue 101 by Erin Ashley Painting Print on Canvas from Canvas On Demand. Part of Art & Home’s large Canvas Wall Art collection. A unique design from Canvas On Demand a unique ‘Matchbox Blue 101’ by Erin Ashley Art Print on Canvas. Matchbox Blue 101 by Erin Ashley. Contemporary abstract painting using blue and stenciled letters and numbers. This proprietary canvas provides a classic and distinctive texture, while archival UV protectant inks make it scratch and fade resistant. This striking piece is just one of the many outstanding decor products that Art & Home has carefully selected to help you beautify your home. To achieve this Art & Home has joined up with many of America’s best manufacturers & retailers of fine home decor and furniture to bring you some of the most extraordinary furniture & home decor collections available on the market today. 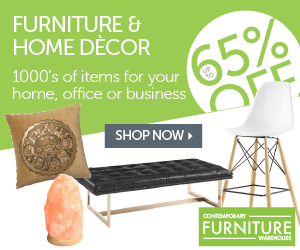 Through this and other relationships, Art & Home is here to provide you with access to numerous breathtaking home decor products and save you the time & inconvenience of combing through dozens of different retail websites. From Metal Wall Art to Furniture to Table Lamps, Art & Home focuses on acquiring the most wonderful furniture & decor so that you can create the home of your dreams. As a family owned and operated company, Art & Home knows how important it is to love your home. Buying from our partners is stress-free. Just click on the Unlock Current Deal  button above to see the full details, current pricing, and get a shipping estimate to your address. We hope you enjoy exploring this gorgeous collection as much as we enjoyed crafting it.